Since relaunching its call-to-action (CTA) ads, Instagram has seen a “significant and positive effect” for gaming advertisers -- in terms of click-to-install conversion rates (CVR) and cost-per-install (CPI). That’s according to new findings from the Facebook (and Instagram) ad specialists at Nanigans. Ad click-through-rates (CTR) also showed moderate increases after the format change was introduced, the firm found. 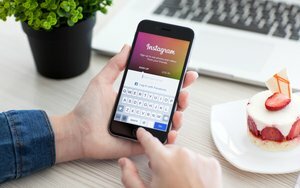 Andrew Waber, market insights and media relations manager at Nanigans, said the improvements reflect the influence of Instagram’s parent company Facebook. “While it’s only been one year since Instagram opened up its advertising ecosystem, it’s clear they are taking a page from Facebook’s playbook for constant iteration on ad products to maximize returns for marketers,” Waber notes in a new report. “Since the CTA tweak in June, we’ve already observed additional testing from Instagram, with the button becoming automatically highlighted after a short period of time for certain users,” according to Waber. Instagram first launched its CTA ads -- or “link ads” -- late last year. At the time, the plan was to help brands elicit more “actions” from users -- like driving Web site clicks, mobile app installs and site conversions. By conducting a series of internal studies, however, Instagram learned that the presence of its original CTA button wasn't getting users’ attention in the original ad format. In one, the Facebook unit concluded that users simply weren’t seeing the button tucked in the bottom right corner of ads. In response, Instagram recently started testing a bigger call-to-action button, which extends across the full width of the ad with the call-to-action text appearing on the left hand side. Since June, the ads’ performance has increased by more than 45%, according to the company’s own findings. Looking ahead, in an effort to improve those numbers, Instagram plans to roll out some similar link-ad enhancements over the next month or so. “Each [new feature] is focused on driving better visibility and interaction for the community while driving better performance for advertisers,” an Instagram spokeswoman said on Thursday. Soon, the call-to-action button will be highlighted when users show interest on or around an ad -- like when they rest on an ad for four seconds or tap on the profile name. When users tap into a brand’s profile from an ad, a call-to-action button currently appears at the bottom of the profile. In addition to adding the button to the advertiser’s profile -- which was implemented in June -- the button will soon extend to the comments section. Also, when Instagram detects additional information from an ad -- like price, destination URL or app store rating -- it will automatically add it to the call-to-action button. For video link ads, meanwhile, when users un-mute a video, they’ll soon be taken to the destination URL while the video continues to play at the top of their screen.